The meat of the game, and its biggest selling point. In a mission, you take a squad of soldiers out into the field to achieve an objective. The objective can be to rescue citizens, to investigate an alien landing, to disarm a bomb, etc. The squad is small (4-6), and the enemies always outnumber you, and often “outgun” you and “outhealth” you as well. This forces you to be very careful with your squad, choosing to go from cover to cover, opting for the best positions, flanking your enemies or sniping them when possible. You will need to be very careful, as it is not just the enemy aliens that are trying to kill you. You must watch out for poison, exploding cars, exploding corpses, soldiers that panic and start shooting at random, or even soldiers that get mind controlled by the aliens and starting shooting their own teammates. Why the need for caution? Unlike most other games, death is permanent, and has serious consequences if the soldier that died is one of your elites. This is compounded by the fact that regardless of the difficulty level chosen, the game is unforgiving: It is either good tactics, or death for your soldiers. Is that a negative? No, it makes the gameplay exhilarating! Permanent death combined with constant danger makes the game tense and exciting. If the game had Phoenix Down options, the major driving force behind your tactical choices would be gone, and the game would be bland. 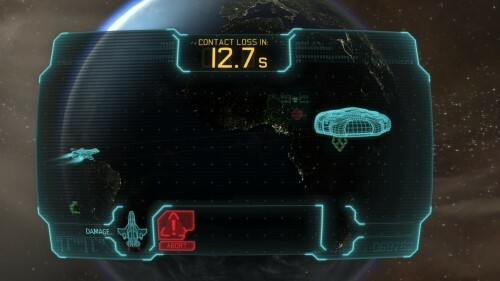 In XCOM, death comes easily, and death has an impact! You have lots of choices when it comes to who you bring to the fight. The soldiers come in four classes: Assault, Heavy, Sniper and Support. You are free to bring as many or as few of each class as you like, depending on what you are comfortable with. As the soldiers gain ranks, they unlock new abilities, which allows you to customize both the soldier and the squad to suit your playing style. You can choose to have a squad that is loaded with RPGs and grenades, to obliterate the aliens en masse. You can go for a sly “invisible” approach, where you walk up to the enemy and unload justice before they have a chance to see you and react. You can opt for more snipers to kill the aliens before they get close enough to hit back. As long as you take the time to plan your tactics right, any strategy can work. 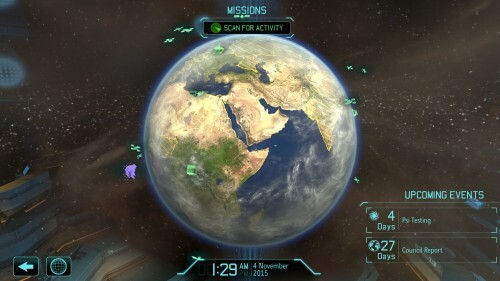 With regards to the missions in XCOM, we applaud Firaxis for releasing one of the most satisfying games in years. Managing your headquarters is the other half of the game that is (sadly) not as exciting as the missions, though it is quite enjoyable. 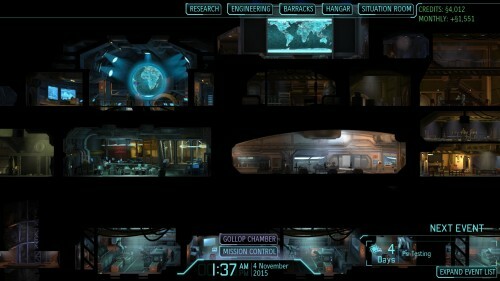 At the XCOM headquarters, there is a lot to do. You need to research alien technologies if you are to have any hope of winning, as your starting armour and weapons are weak compared to what the aliens wield. Aliens are running amok and causing panic globally, so you need to launch satellites to see where the action is. You need fighter planes parked around the globe to stop UFOs. Your soldiers need a place to train (i.e. upgrade rank and skill), and to recuperate if injured. Before heading out to battle, weapons and armour need to be built and soldiers need to be equipped. All these tasks are obviously not as “fun” or “exciting and tense and dangerous” as the missions where you risk your soldiers’ lives, but the game does a good job of making base management a viable and important part of the game. XCOM: Enemy Unknown is a continuous series of “dangerous missions to get your heart rate up” followed by “base management to cool you down”. The base management part of the game is where long term strategy is executed. 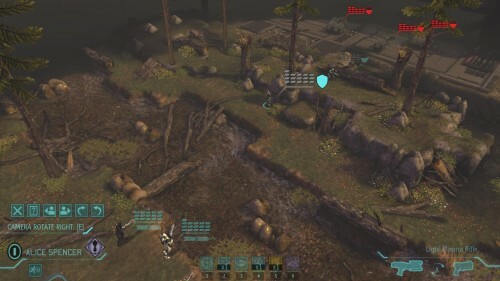 To win the game you need to defeat the aliens, and since XCOM is “humanity’s first and only line of defense”, the way you manage your base will determine whether or not you succeed. It is entirely possible to win all your missions, but still fail to manage the XCOM HQ adequately, and thus lose the game. 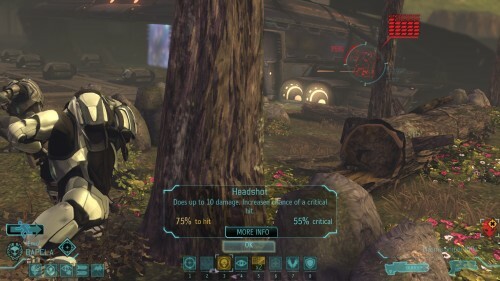 If you watched the trailers and were excited by the “action part” of the game, it is important to note that base management plays a crucial part of the game, so do not expect that you can ignore it. A full game would take anywhere between 20-30 hours, depending on what difficulty you chose and whether or not you have played the game before. The game has good replay value, as your first playthrough will be full of mistakes that you will want to avoid in your next playthroughs. If you enjoy the game, you will want to try out the higher difficulty levels, which offer a serious challenge, even to hardened veterans. 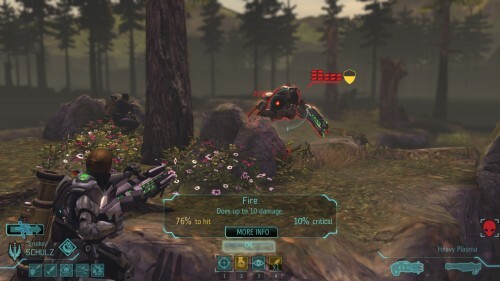 We have a lot of praise for the game, and you might be wondering: Does XCOM have perfect gameplay? No. As much as this reviewer enjoyed the game, there are a few major flaws and many minor flaws, both in the missions and during base management. We take a look at a few of these, noting which flaws are objective, but leaving it to the reader to decide if some of the more subjective points are really negatives, or if they actually add flavour to the game. -Subjective: The “chance to hit” feels like a lie. It is infuriating to miss multiple “90%+” shots in a row, particularly when you are firing at point blank range. How can the soldiers miss hitting an enemy that is standing right next to them? -Objective: Soldiers sometimes have the weirdest aiming animations, particularly when using medikits. -Subjective: Soldiers can only carry a single utility item, severely limiting your tactical options. It gets worse because many items are “limited use per battle”, and you have a squad of only 4-6. It is only in the late game, when some soldiers can carry two items or use an item multiple times, that this becomes less of an issue. -Objective: The automatic camera controls are wonky. 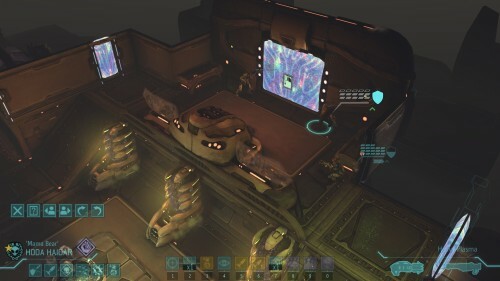 In missions where there are multi-story buildings, the camera does not always do a good job of showing you what level you are seeing, or what is being shown and what is being obscured by the fog of war. -Subjective: A serious issue is that the game is much, much harder in the beginning than it is towards the end. There are many challenges that make the early game very tense, such as multiple abductions, lack of resources, global panic, low aim, lack of “continental perks,“ and so on. When you solve these challenges, you would expect that they would be replaced by new ones to keep the game “dangerous,” but that does not happen. This reviewer was happy that the plan-ruining “multiple abduction” scenarios were gone by the late game, but was sad to see all other challenges go with them. 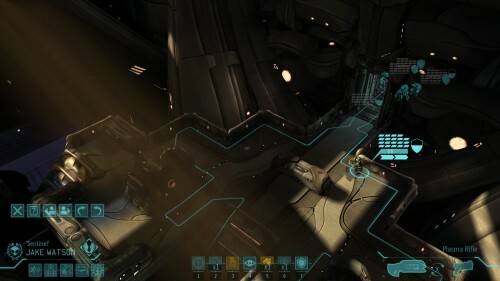 You would expect a game to be more challenging as you progress, but XCOM only gets easier. 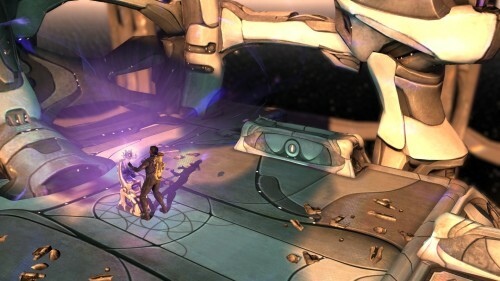 -Objective: Part of the game is launching an interceptor to fight an alien craft. This is quite an eyesore, and is badly implemented in-game. All other aspects of the game are well executed, but the “fighter interceptions” are not. It feels like a last-minute addition to the game, and is of vastly lower quality when compared to the mission gameplay. The more you enjoy a game, the more important it is to make a note of its mistakes when recommending it, as you want to be fair to the reader. From the above list, you can tell that this reviewer enjoyed the game a lot! Now that we have been fair in pointing out problems, let us also do the game justice and stress that despite these flaws, the game was still a pleasure to play, and was very enjoyable overall. The game is a multiplatform title, available on the PC, on the Xbox 360 and PS3, and on Android and iOS. Checking a few Youtube gameplay videos shows that the game’s visuals do not differ too much when you compare the PC version and the consoles. So keep in mind that the graphics are console-tier only, and on an older generation of consoles at that. You play the game from a top-down isometric point of view, with the camera a bit far from the units that you control. The camera distance is needed, as the graphics are quite ugly up close. The background textures are blurred and low quality, and the character models have low quality skin that takes them deep into the uncanny valley. Typically, the camera shows the game from above, but swings in close for some actions, and that is when the game’s graphical flaws hit hard. So when the game is zoomed in, it looks quite bad, but what about normal view? When the camera view is normal, the game looks fine. Your missions will take you to (moderately) varied locations, from suburbs and industrial zones, to forests and alien ships. These locations are designed quite well, which is an achievement for randomly generated missions. The soldiers, weapons, and armour are all designed nicely. The aliens are very alien, and look quite menacing, especially the Mutons. You will not be impressed by the game’s visuals, but you will not be disappointed either. XCOM: Enemy Unknown needs an “HD Texture pack” upgrade, and is certainly a game that deserves it. Firaxis, hear our plea! It is acceptable, at best. The mediocrity of the storyline does not hurt the game. Like many other nonlinear games (Civilization comes to mind), the storyline takes second place to good gameplay. 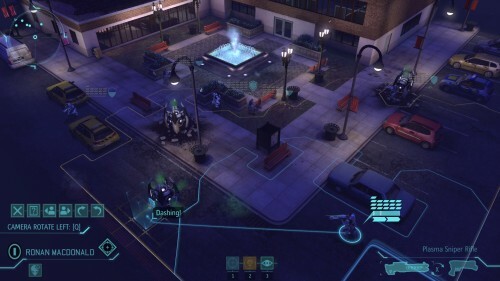 In XCOM, you have four non-player characters, and some specific missions or events to drive the story. You are free to choose not to move the story forward, and the game must accommodate this, making the storyline necessarily superficial. 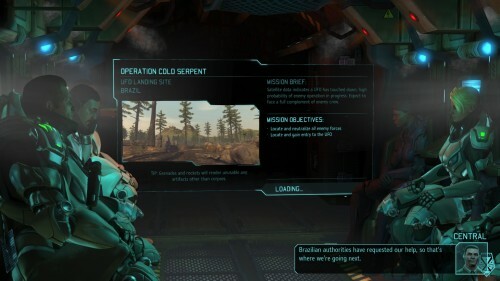 While we strive to make the storyline sections as spoiler free as we can, this is nearly impossible for XCOM:EU, as there is very little to spoil. The military officer. Does your work for you. The scientist doctor. Cold and calculating. The elderly engineer. Builds anything you can afford. The councilman. He represents… the council… that oversees… your progress. While these four characters are decently written, they do not play as important a role in the game as your squad. It is the squad that fights, wins, and dies in battle. The missions that you get are random, and the enemies you face, the terrain that you are on, the objectives you achieve (or fail to achieve) are all non-scripted. Some of your squad members will perform heroically in some missions, making your heart ache if they get killed. Some will die on their first mission, and you will not remember their names. Some missions will be impossible, and some will be too easy. As such, you will experience a different “story” each time you play, aside from the set events. And what of these set events? Without spoiling much (again, because there is not much to spoil): At first, you are simply defending from the alien attack, trying to calm the world down and stem public panic. Then you need to capture aliens or alien artefacts, and study them. As you perform missions and do alien research, you will do your job better and learn more about the aliens, until you are strong enough to launch a counter attack and deal a deadly blow to the alien ambitions. Why is the council so mysterious? 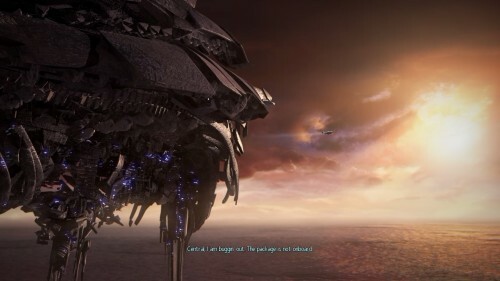 At the final mission, instead of explaining the aliens’ motives properly, you get an end boss that whines for an hour! Non stop. 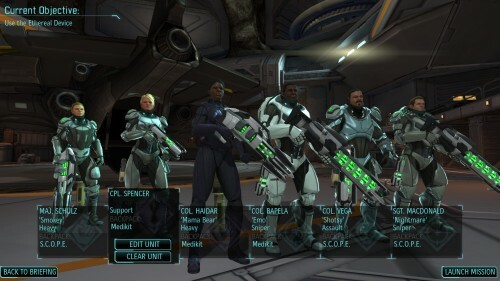 XCOM is humanity’s first and ONLY line of defense. Why is your starting squad composed of just 4 people? Are you expected to defeat an alien invasion with 4 soldiers? It does not make sense that countries threaten to pull out of the program if panic gets too great, particularly since your success is dependent on funding. If a city’s police are not doing a good job of controlling crime because of inadequate training or equipment, should that city simply shut down the police and do without, or invest in upgrading the force? Why can I sell to the black market, but not buy from the black market? There are plenty of other minor issues with the storyline, and many of them are a bit humorous in nature. So the storyline may not be that intellectually stimulating, but at least you will get a laugh or a smile. Overall, the story is acceptable, but only just, and you can skip most of it without missing much. Because the game does not centre around the storyline, the low story score did not affect our overall score of the game. It is decent, but nothing special. 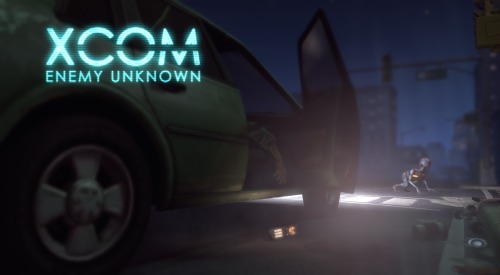 For fans of turn-based tactics, XCOM: Enemy Unknown is a must buy. For everyone else, this is a very good game! Well worth the full price, and highly recommended when on sale. 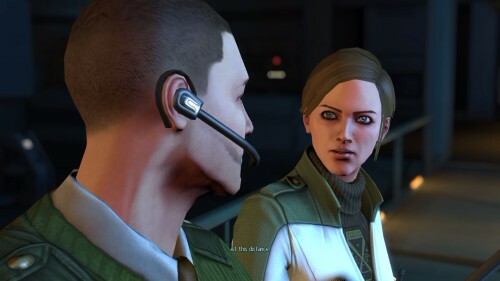 This is strictly a review of XCOM: Enemy Unknown, not the Enemy Within DLC, or the Long War mod.